Every coat pocket has them in, and many gather at the rim of the washing machine having been tucked in jeans at the beach and then long forgotten about. Seashells, irresistable when they sparkle at the shoreline and I always feel rich when a have a handful of newly found shells. There is a long ancient tradition of shells as currency. What was found tucked in the sand or seabed on one shore was considered royal goods in far off foreign lands. The trade in shells continues, every seaside gift shop abounds with so many. 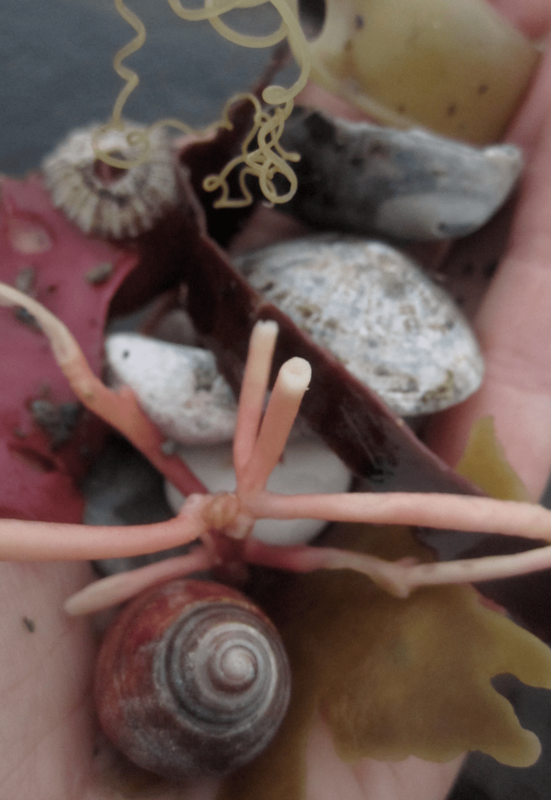 But there is nothing quite like your own treasures found on the shoreline. They hold memories of that holiday or time with friends. Kids are great collectors. 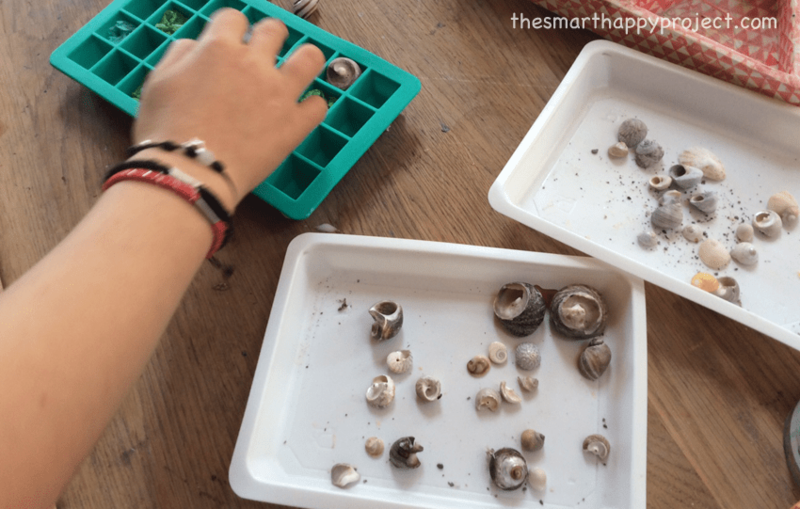 They have such interest in gathering natural finds, with just a few tips on storing and displaying these shells they can be worthy of the place on the shelf or wall. Displaying shells doesn’t have to be intricate, the shells themselves do the work. A simple display box or frame is often all that needed. We used a silicone ice cube tray (I liked the square compartments). Put dabs of the glue at the bottom of each compartment then line them with scrunched up tissue paper. 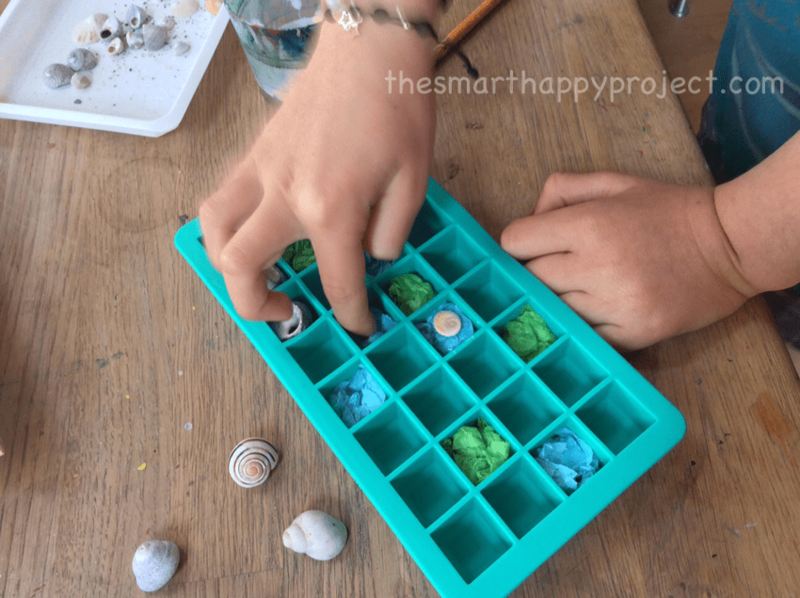 Paint the shells with the glue and leave to dry, PVA glue will dry clear and give them that nice salty, shiny look they have when you find them on the sand. With the dab glue onto the tissue paper, stick one shell in each compartment and leave to dry completely before standing upright. 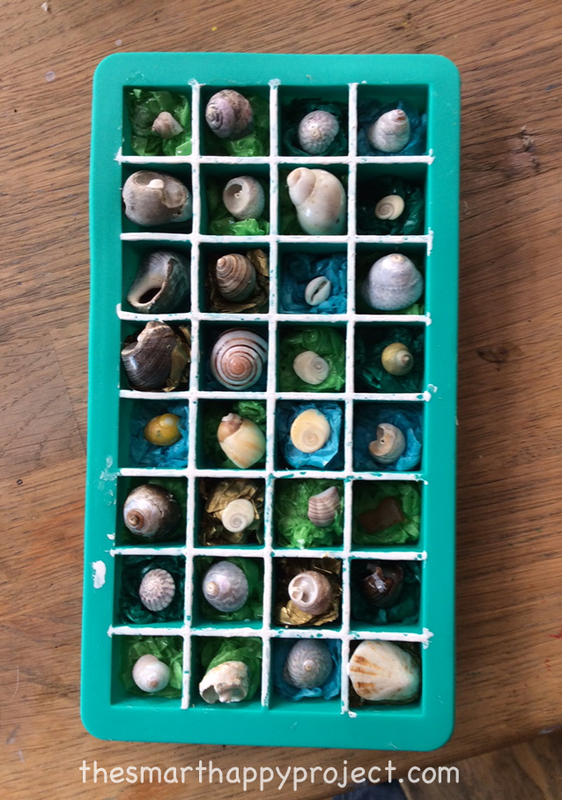 We painted the outlines of each compartment white to frame each shell and if you fancy some seashell decor, use a picture mount to frame it all if you wish and hang on the wall or shelf. Its not just shells I like collecting and displaying. Autumn is my favourite time for collecting the shapes of seed pods after the flowers fade. Collections on numbers are popular too, see the Five point star in nature collection.